BuzzCanada: Battle Ready! 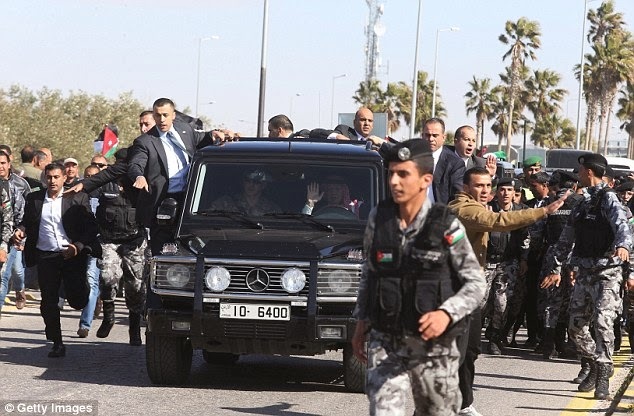 King of Jordan planning to lead airstrike against ISIS himself? Battle Ready! 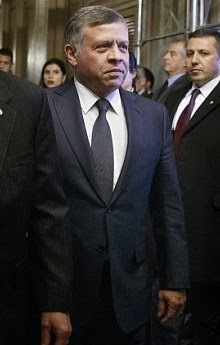 King of Jordan planning to lead airstrike against ISIS himself? 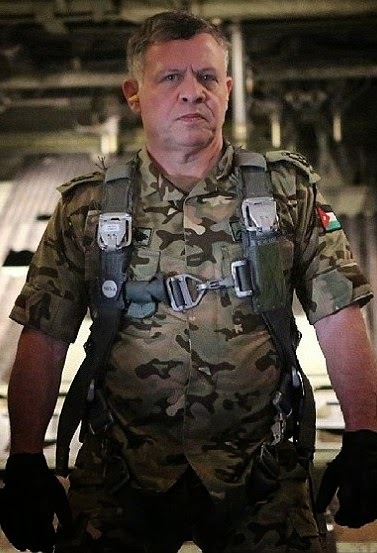 The king of Jordan, Abdullah II ibn al-Hussein is a trained pilot and there are now reports that he's planning to personally take part and lead revenge airstrikes on ISIS after the brutal killing of one of their pilots, 27 year old military pilot, Moaz al-Kassasbeh. "He said there is going to be retribution like ISIS hasn't seen. He's angry. They're starting more sorties tomorrow than they've ever had. They're starting tomorrow. And he said, "The only problem we're going to have is running out of fuel and bullets". 'He's ready to get it on. He really is. It reminded me of how we were after 9/11. We were ready to give it to them" Hunter said.